The focus of this book is on conceptual and philosophical issues of perception including the classic notion of unconscious inferences in perception. The book consists of contributions from a group of internationally renowned researchers who spent a year together as distinguised fellows at the German Centre for Advanced Study. Each chapter concludes with a lively, informative debate in the form of comments and replies from the contributors of the book. 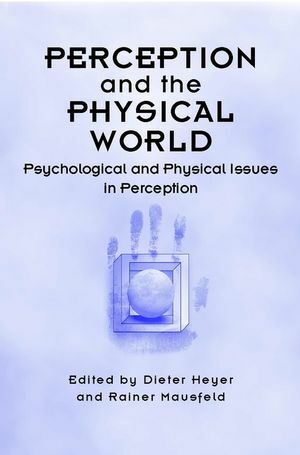 Dieter Heyer and Rainer Mausfeld are the authors of Perception and the Physical World: Psychological and Philosophical Issues in Perception, published by Wiley.